Australia’s had a great decade of economic growth and the benefits were spread across the economy. And older age groups were the big winners, becoming much wealthier and fitter, thanks to a fall in interest rates and improved health care outcomes according to Grattan Institute CEO John Daley reported Business Insider. The growth in wealth of the 55-64 and 65-74 age groups made them the biggest beneficiaries of the decade to 2014. And while Australians aged 45-54 also benefited, Daley told Business Insider the outlook for the younger cohort of Australians is less positive than for their parents. That’s because “harder times lie ahead” in an outlook for lower growth in per capita incomes, plus a rise in complacency as a result of the long run of prosperity and the unsustainability of the Federal Government’s budget position all combining to saddle younger cohorts with extra lifetime debt. 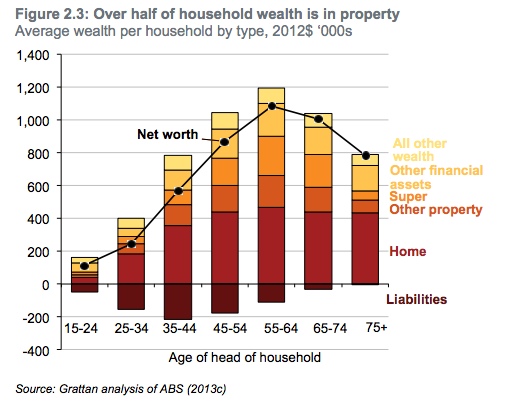 Younger workers around the globe are earning less than their parents and have lower and falling rates of home ownership while older Australians are capturing a growing share of Australia’s wealth, according to a new Grattan Institute report, The wealth of generations. An average 55 to 64-year old household was $173,000 richer in real terms in 2011-12 than was a household of that age in 2003-04. The average 65 to 74-year old household was $215,000 better off over the same period. However, the average 35 to 44-year old household was only $80,000 richer. Worst affected were 25 to 34-year olds who had less wealth than people of the same age eight years before – even though they saved more than people of that age did in the past. At your kids and future Australians expense! Makes me sick. This country’s two major cities need a major adjustment and peoples view on housing as a necessity, not a vehicle for “investment” that relies on the next sucker paying more has to change!. The ponzi needs to be toppled. No one will have any income left to consume anything after paying down that 700K entry level house, 50kms from the city…… small businesses gooooooone, retail sector and manufacturing,,, goooooone. 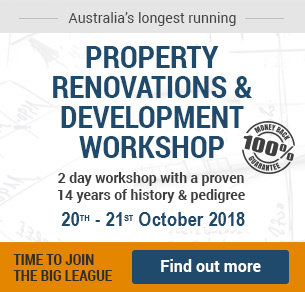 Can the economy produce enough jobs to just build, renovate and buy and sell property. Boomers will only be on this earth for another 20-30 years, what about the rest of us……. you will not be missed. Bring on the recession. I’d be selling now if I was “unlucky enough” to have done it so tough and worked so hard to buy those affordable houses all those years ago on one income and then equity’d it up to keep the show rolling …..
Dear Scott, Sorry to advise you but in 1991 to 1993 we had a Recession in Australia. As Paul Keating famously said the recession we had to had. The followed the rampart property growth from the mid 80s to 90s property prices increased by an average of 18% during this time plus interest rates were at 13.5-17.5% and unemployment was over 10%. Tell me that we did not struggle during that time is not looking at the whole picture. I personally saw people loose their houses and I had to work 2 jobs to support my young family. 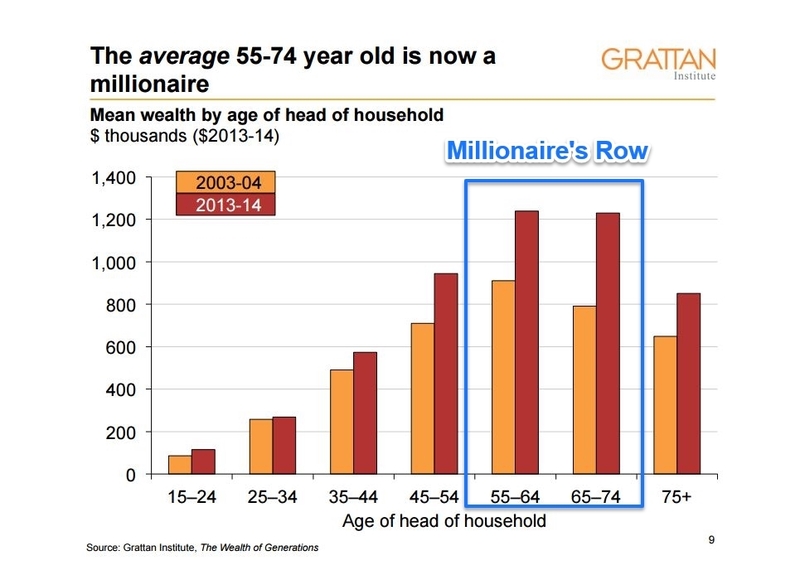 It is easy to say the Boomers are wealthy but they never had compulsory Super till 1992 and their average wealth in Super is $93,000 now at retirement which places burden on Government and Taxes. Their property wealth is based on 40years of accumulated appreciation. I am sure that some if not many will need this as buffer to survive the next recession. And for those that have never lived through one to learn valuable lesson. Puts it into perspective a little I guess, though how much was a litre of milk or petrol? Can’t wait until this insanity ends…. ITS COMING!!!!! Not sure why you can’t wait for this to end? What are you hoping will happen? Mummy and Daddy aren’t in a position to help…and I wouldn’t take on that much debt anyway!! I am confident I will hold onto my job when this bad boy blows!